The rapid growth in consumer credit cooled in July amid a squeeze on household spending but mortgage approvals have risen to their highest level in more than a year. Consumer credit, which includes borrowing on credit cards, overdrafts and car finance schemes, rose by 9.8 per cent from a year earlier. This was down from 10 per cent in June and the weakest increase since April 2016, according to the Bank of England. Credit rose by £1.2 billion on the month and was below the £1.5 billion that economists had been expecting, with £400 million on credit cards and £700 million on other loans. Consumer borrowing has helped to support the economy since the Brexit vote but the slowdown suggests that households are becoming less willing to borrow to finance their consumption amid rising inflation. 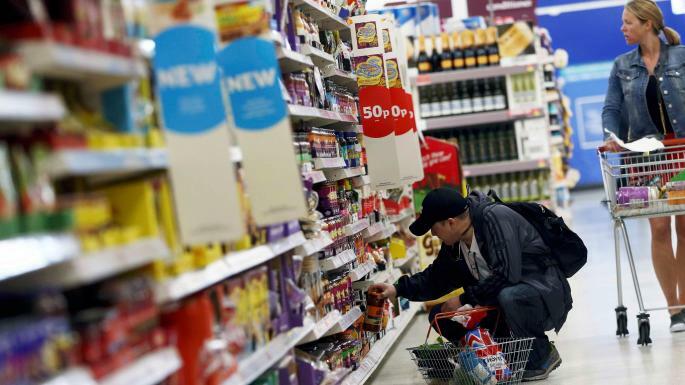 Household spending growth slowed to 0.1 per cent in the three months to June in the weakest rate in almost three years. Consumer credit growth is also declining because of tougher lending conditions imposed by banks and a slowing in the car finance sector, with car registrations falling nearly 10 per cent year-on-year. However, a slight cooling in consumer credit is likely to be welcomed by policymakers at the Bank. Alex Brazier, director for financial stability, warned last month of a “spiral of complacency” among banks, credit card companies and car loan providers. Consumer credit has grown four times faster than household incomes during the past year. Consumer credit accounts for a fraction of household debt but is considered more of a risk as people tend to walk away from credit card debts, rather than mortgages, when in financial trouble. Since 2007 British banks’ total write-offs on UK consumer credit have been ten times higher than on mortgages. The outlook for the housing market was more upbeat, however. Lenders approved 68,689 mortgages in July compared with 65,318 in June, the highest figure since March last year, according to figures from the Bank that showed that the figure for July was 11 per cent higher than the same month last year. However, this should be treated with caution because last year’s figure was distorted by uncertainty after the UK voted to leave the European Union. The Bank’s figures also showed that businesses are borrowing more at a time of low interest rates. Borrowing among companies, excluding financial corporations, rose by £8.9 billion in July, the largest increase in three years.